Democratic and communist political systems are based on different ideological principles. Although superficially they seem to share the "power to the people" philosophy, in practice the two systems of government structure the economic and political fabric of society in markedly different ways. In the economic sphere, communism calls for the government to take control of all the capital and industry in the country in an effort to get rid of economic inequality. On the other hand, a democracy respects individuals' right to own property and means of production. The political landscape is also very different in a democracy vs. under communism. In a democratic society people are free to create their own political parties and contest in elections, which are free of coercion and fair to all contestants. In a communist society, however, the government is controlled by one political party and political dissent is not tolerated. From each according to his ability, to each according to his needs. Free-access to the articles of consumption is made possible by advances in technology that allow for super-abundance. In a democracy, the community of people are considered to hold power over how they are governed. Kings and tyrants are seen as threats to the innate rights of the people. As such, all eligible citizens get equal say in decisions. Centralized government, planned economy, dictatorship of the "proletariat", common ownership of the tools of production, no private property. equality between genders and all people, international focus. Usually anti-democratic with a 1-party system. Free elections. Suffrage. Majority Rule. All class distinctions are eliminated. A society in which everyone is both the owners of the means of production and their own employees. Democracies are meant to resist separation by class, politically or economically. Class distinctions can become pronounced, however, due to capitalist society. Varies from state to state. International theory or system of social organization based on the holding of all property in common, with actual ownership ascribed to the community or state. Rejection of free markets and extreme distrust of Capitalism in any form. Rule by majority. In a democracy, an individual, and any group of individuals composing any minority, have no protection against the power of the majority. In variations, people may also elect representatives. Abolished. The concept of property is negated and replaced with the concept of commons and ownership with "usership". Generally, private property is permitted, although a majority faction may place limits on property rights. Abolished - all religious and metaphysics is rejected. Engels and Lenin agreed that religion was a drug or “spiritual booze” and must be combated. To them, atheism put into practice meant a “forcible overthrow of all existing social conditions. Generally, freedom of religion is permitted, although a majority faction may limit religious freedom for a minority faction. Either the collective "vote" or the state's rulers make economic and political decisions for everyone else. In practice, rallies, force, propaganda etc. are used by the rulers to control the populace. Individuals may make decisions for themselves except insofar as a majority faction has limited individuals. The means of production are held in common, negating the concept of ownership in capital goods. Production is organized to provide for human needs directly without any use for money. Communism is predicated upon a condition of material abundance. Democracies tend to be free-market economies. Policies that govern economics are chosen by the voters (or their elected representatives in a representative democracy). Usually capitalist or Keynesian. In theory, all members of the state are considered equal to one another. In theory, all citizens have an equal say and so are treated equally. However, often allows for the tyranny of the majority over the minority. Government in a Communist-state is the agent of change rather than any market or desire on the part of consumers. Change by government can be swift or slow, depending on change in ideology or even whim. Voting. Left Anarchism, Council Communism, European Communism, Juche Communism, Marxism, National Communism, Pre-Marxist Communism, Primitive Communism, Religious Communism, International Communism. Direct democracy, parliamentary democracy, representative democracy, presidential democracy. Recent far-left dictatorships include the USSR (1922-1991) and its sphere throughout eastern Europe. Only five nations presently have Communist governments: China, North Korea, Cuba, Laos and Russia. More than half of the world, including the US, Canada, Western Europe, Australia, New Zealand, Japan, etc. The United Kingdom is an example of a democratic country that is not a republic, since it has a monarch. Major Communist parties include the Communist Party of the Soviet Union (1912-91), the Communist Party of China (1921-ON), the Workers' Party of Korea (1949-ON), and the Communist Party of Cuba (1965-ON). Originated and evolved in ancient Athens during the 5th century. Numerous important reforms were made by the leader Solon and then Cleisthenes. Greek democracy was ended in 322BC by Macedon. Communists believe that war is good for the economy by spurring production, but should be avoided. Depends on the majority opinion. Historically, communism has always fallen into single part control over society. This can be due to its basic structure of consolidating all the power and resources, but then they are never relinquished to the people. Majorities can abuse minorities. Communism is a socialist movement that aims to create a society without class or money. As an ideology, it imagines a free society without any division, free from oppression and scarcity. The proletariat (working class) overthrow the capitalist system in a social revolution, usually via an armed rebellion. Democracy is a form of government that gives all eligible citizens an equal say in decisions that affect their lives. All people can participate equally, either directly or through elected representatives, in the creation of laws. Communism is traced back to 16th century English writer Thomas More, who described a society based on common ownership of property in his book Utopia. It first emerged as a political doctrine after the French Revolution, when Francois Noel Babeuf talked of the desirability of common ownership of land and total equity among citizens. Modern communism emerged from the industrial revolution, when Karl Marx and Friedrich Engels published the Communist Manifesto. Democracy originated in Athens in ancient Greece. The first democracy was established in 508-7 BC. Athenians were randomly selected to fill government administrative and judicial offices, and the legislative assembly was made up of all Athenian citizens, who had a right to speak and vote. However, this excluded women, slaves, foreigners and anyone under the age of 20. Hammer, sickle and the red star are universal symbols of communism. 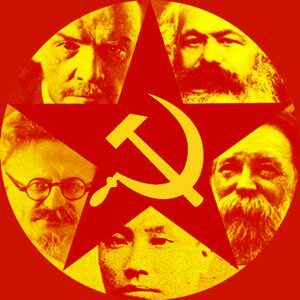 Also seen are some famous communists, from bottom clockwise, Chen Duxiu, Leon Trotsky, Vladimir Lenin, Karl Marx, Friedrich Engels. In the 1917 October Revolution, the Bolshevik Party seized power in Russia. 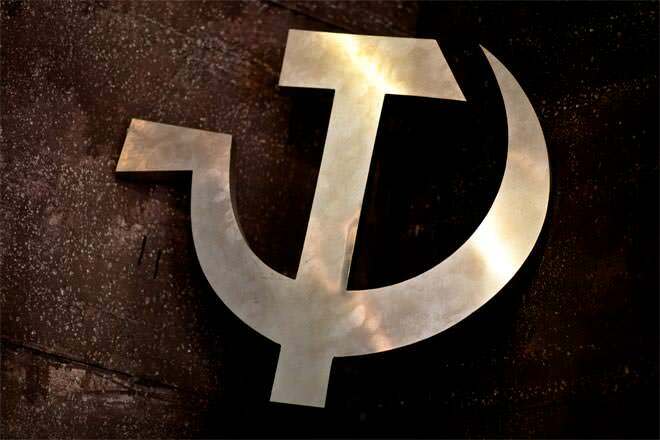 They changed their name to the Communist Party and created a single party regime devoted to implementing a specific type of communism known as Leninism. They nationalized all property and put all factories and railways under government control. After World War II, Communism spread throughout central and eastern Europe, and in 1949, the Communist Party of China established the People’s Republic of China. Communism also emerged in Cuba, North Korea, Vietnam, Laos, Cambodia, Angola, Mozambique and other countries. By the early 1980s, almost one-third of the world’s population lived in Communist states. The first nation to become democratic in modern history was the Corsican Republic in 1755. However, it was short-lived, and the first modern nation to establish an official democratic system was France, which established universal male suffrage in 1848. The founding fathers of the United States did not describe their new nation as a democracy, but they also espoused principles of national freedom and equality. 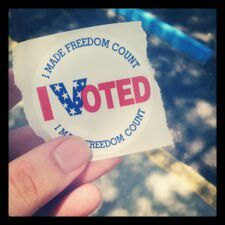 All men in the US were nominally given the right to vote in the late 1860s, and full enfranchisement of citizens was secured when Congress passed the Voting Rights Act of 1965. Democracy was a popular government system after World War I, but the Great Depression led to dictatorships throughout much of Europe and Asia. After World War II, the American, British and French sectors of Germany, Austria, Italy and Japan became democracies. By 1960, the majority of countries were nominally democracies, although many had sham elections or were, in reality, communist states. Spain, Portugal, Argentina, Boliva, Uruguay, Brazil and Chile all became democracies in the 1970s to 1990s. In its ideological form, communism has no governments. However, it considers a dictatorship to be a necessary intermediate stage between capitalism and communism. In practice, communist governments take many different forms, but usually involve an absolute dictator. Democratic governments take many forms, but in modern democracy, they usually involve elections, where citizens vote for individuals and parties to represent their concerns in government. There are a wide range of interpretations of communism, usually named after the dictator who created them. They include Marxism, Leninism, Stalinism, Trotskyism, Maoism, Titoism and Eurocommunism. There are many forms of democracy. They include representative, parliamentary, presidential, constitutional, and direct democracy, as well as constitutional monarchies. Current communist states are the People’s Republic of China, the Republic of Cuba, Lao People’s Democratic Republic and the Socialist Republic of Vietnam. Some people also consider North Korea to be a communist state. 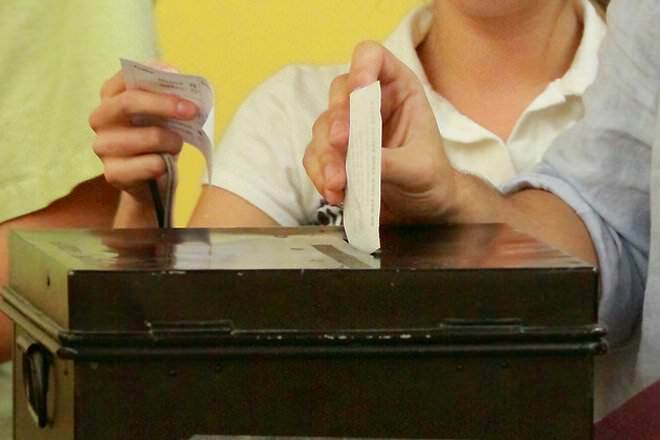 According to Freedom House, there are currently 123 electoral democracies in the world. The World Forum on Democracy claims 58.2% of the world’s population live in democracies. Communism has been criticized as an ideology because it leads to slow technological advance, reduced incentives, and reduced prosperity. It has also been criticized as unfeasible. Communist states have been criticized for poor human rights records, with the belief that Communist governments have been responsible for famines, purges and war. Stephane Courtois argues that communism was responsible for the deaths of almost 100 million people in the 20th century. Democracy has been criticized as inefficient and a creator of wealth disparity. It is criticized as a system that allows the uninformed to make decisions with equal weight as the informed, and one which allows for oppression of minorities by the majority. Well I don't know why being an Indian (citizen of a democratic country) I don't relate to the difference...yes the majority wins when it comes to election but even the elected representatives cannot favour only the majority...every minority ( caste, religion, economic, language etc) have to be accounted for in your decisions...if some action cannot make everyone satisfied, that action cannot be taken, every protest has to be taken care of...even if it just 50 people protesting.....it is very complicated but it practiced. Actually a Communist government is far better than a democratic government. But real Communism died with Vladamir Lenin.